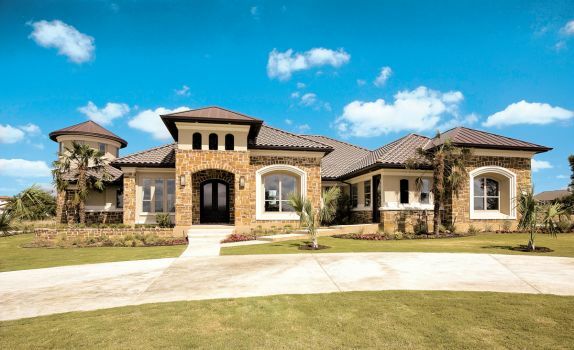 A 3,300-acre master-planned luxury community, Vintage Oaks features both gated and nongated neighborhoods with homes ranging from 2,300-4,100 square feet. Homes for sale start in the $380s. “Many retired Vintage Oaks residents are native Texans who have lifelong memories of vacations to the Hill Country, and are ready to leave the congested cities for a quieter way of life with the space of an ‘acreage’ community like Vintage Oaks,” said Gretchen Howell, spokesperson for Vintage Oaks. Prospective residents can purchase land and build their dream home or choose a customized floor plan suited for Hill Country views and the special nature of the area. They can choose from hilltop, pond-side and wooded homesites spanning 1 to 3 acres. Nature lovers will enjoy the community’s natural creeks, age-old oak trees, river tubing and multi-pool water park. Many baby boomers, rather than moving to smaller homes, instead are looking for more space “to accommodate their growing families (grandkids, for example) and have space for family gatherings for holidays and special events,” said Justin Cox, vice president of operations for Jimmy Jacobs Homes, which builds in Vintage Oaks. People who are building a new home typically want one that will give them the space they previously did not have. “Some households want a larger home because they are combining households with either or both a younger generation (their children and perhaps grandchildren, and/ or their parents),” said Margaret Wylde, president of ProMatura Group, a senior-focused research and consulting firm that studies consumers and how they make purchase decisions. Some people just want more space in their homes, Wylde added, pointing to a colleague whose children had left home but was almost doubling the space of a new home she was building. “They are a gathering spot for their family of four daughters and their families and friends, so they are building bigger,” she said. In addition to space that suits their lifestyle, boomers and seniors especially value home energy efficiency, according to recent survey results from the National Association of Home Builders “What Home Buyers Really Want” report. Today’s new homes are more energy efficient than homes built just a few years ago. Earlier this year, Jimmy Jacobs Homes transitioned to the U.S. Green Building Council’s LEEDCertified building program, including in its homes built in Vintage Oaks. Many people, whether they are retired or still working, want to be socially active and “live in a community where there is a great sense of camaraderie,” said Margaret Wylde, president of ProMatura Group. Vintage Oaks offers residents a community to fit their lifestyle – whether it’s gathering for bridge, relaxing around the pool or dining out together. The community provides resort-style amenities that include an expansive Tuscan-style clubhouse; two swimming pools, including a tots pool; a lazy river; playground; soccer and baseball fields; and miles of Hill Country trails – ideal for visiting grandchildren or residents themselves. “We perform focus groups annually at Vintage Oaks, and what I find consistently is a group of dynamic, accomplished retirees who wanted scenic beauty, close to great health care (the new Resolute Health Hospital and its surrounding specialty clinics are an incredible asset to the area), close to the conveniences of shopping and great dining, yet without the traffic, crime or other trappings of living in a city,” she said. Vintage Oaks is home to primary- and second-home owners, including young families, pre-retirement couples commuting to Austin and San Antonio, and retired couples from Houston, Dallas and across the country. Near Vintage Oaks is Schlitterbahn Water Park, a number of parks, and a variety of activities and festivals in New Braunfels and Gruene and the surrounding area. Austin is 45 minutes to the north, and San Antonio is 30 minutes to the south.